January has always been a popular time for new investors to enter into the rewarding world of Forex trading. These markets boast liquidity, an around-the-clock availability and the potential to trade from one's own home. It therefore makes perfect sense why those who are looking to supplement their income are keen to take advantage of what such trades have to offer. What have we learned from the previous year, what can we expect during 2016 and how can implementing the correct Forex strategies make all of the difference in the world for novice investors who desire financial freedom? This first observation should come as no great surprise, as investors can learn of any late-breaking news instantaneously through the power of the Internet. This caused a substantial amount of volatility in the Forex markets during 2015 and towards the end of the year, led some investors to embrace a more risk-averse stance. Still, let us recall that volatility is essential in order for anyone to take advantage of market movements. 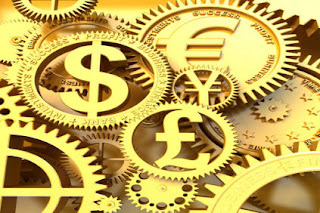 Without currency fluctuations, there would simply be no profits to be made. 2016: A Year of Changes? The markets have seen a rather turbulent start to the year. Crude oil has fallen to lows not seen in recent memory. The Asian markets continue to show signs of weakness and surprisingly robust economic data out of the United States seems to hint that the euro and the dollar may potentially reach parity. So, it is no shock that many investors are taking the "watch-and-wait" approach. Prudence is indeed important but it is still wise to recall that the most impressive profits are made during moments of instability. Investors will need to stay ahead of all of the latest news stories while keeping another eye on the Forex markets themselves. This basic principle is just as important now as it was during 2015. Some traders enjoy the thrill of a short-term position while others tend to be focused upon asset management from a long-term perspective. These preferences will be directly reflected in the trading strategies that are adopted. In this respect, there is no such concept as "one size fits all". From market fundamentals to technical analyses, any beginner needs to be aware of what works best and which techniques are not as relevant. This clarity will result in greater levels of comfort and ultimately, more rewarding trades. Performing online research, seeking the advice of professionals and carefully testing strategies through demo accounts are all excellent ways to hone one's skills. Trillions of dollars change hands within the Forex marketplace each and every day. This is largely due to the sheer number of currency pairs that can be traded. So, it makes a great deal of sense to opt for electronic brokers that can offer the greatest number of options. The pairs provided at CMC Markets boast this very same level of superior flexibility. Whether one hopes to embrace a spread betting position or contracts for difference are the preferred method, more choices equate to the higher probability of walking away a winner. 2016 has only just begun and we have already seen a substantial amount of movement within the Forex marketplace. This is a clear indicator that the remainder of the year will certainly prove to be rewarding for those who adopt the correct trading approaches. Many will choose to follow CMC Markets for the latest news updates, timely market analyses and access to some of the most cutting-edge trading platforms currently available.